The 20th Century was a time of great extremes. In the early part of the century we saw the introduction of radio and movies. Advances in the automobile and the airplane changed the way we traveled. By the end of the 20th Century we had ventured into space and even landed men on the moon and returned them safely to earth. However, the century was not without it’s darker moments. The globe suffered through two world wars as well as numerous other conflicts. Diseases would continue to wipe out millions of people despite our best efforts. And probably the worst, man against man event was the Holocaust during World War II. This was what the Nazis called “The Final Solution” to solve the Jewish problem. They would wipe out the Jewish race from the face of the earth. What could be more wicked and evil than that? What kind of people can consider this kind of thing let alone actually do it? And yet, today in the 21st Century, there are still wicked people in the world with this mindset. This story is about one man who lived through the Holocaust. His name was Herbert Levin and he was born in Berlin Germany on September 9th, 1906 to German Jewish parents. There is no record on how he became interested in magic, just that he had been interested in magic since he was young. A number of well known magicians and magic manufacturers came out of Germany including; Wiljalba Frikell, Max Auzinger, Compars Herrmann, Alois Kassner, Carl Willmann, and August Roterberg to name a few. Houdini also was a popular attraction in Germany. 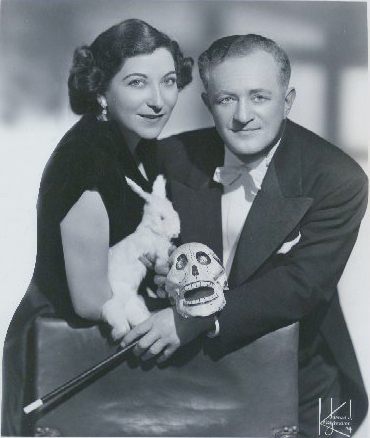 Whatever the inspiration to become involved in magic, we know that Herbert Levin was both a magic shop owner and a performing magician. By reversing the spelling of his last name he would become NIVELLI The Magician. He was apparently well known as he had performed at many of the best theatres in Germany. In 1933, Adolph Hitler was elected Chancellor of Germany. In the same year, the first concentration camp was opened at Dachau. Ten days after the first concentration camp opened German citizens were told not to buy from Jewish shops or businesses. Herbert Levin and his family could see the writing on the wall and they fled Germany for Czechoslovakia. In 1940, an old fort in Terezin Czecholslovia, also known as Theresienstadt, was turned into a concentration camp by the Gestapo. Levin and his family ended up in this camp. When the SS discovered that Levin was actually NIVELLI the Magician, they commanded that he perform for them. This could happen any time day or night. The Nazi SS would show up at night while he was sleeping and wake him up and demand that he show them some tricks. He worked with a dirty deck of playing cards and some string. He would also borrow coins from the German Officers and use those for magic effects as well. This attention garnered Levin slightly special treatment by the SS Officers. He would be allowed to sleep a little longer than others and his workload would not be as hard. He also would get special food. Eventually, Levin would add other tricks to his line up and before long the Nazis changed from wanting to see the tricks to wanting to learn the tricks. So Levin proceeded to teach his Nazi captors magic. Reinhard Heydrich, who became known as The Hangman, was a high-ranking Nazi officer in Germany. Heydrich would move up the ranks and eventually be in charge of various parts of the German police force, including the Getsapo. In 1940 he was named President of Interpol. In 1941, Heydrich was appointed Reich Protector in a part of Czechoslovakia that had become part of the German Reich. His job was to bring the Czechs in order and make them German citizens and his methods were nothing short of cruel and dastardly. In June 1942 Reinhard Heydrich was assassinated by two men trained by British Army Special Operations. Hitler was furious and ordered the arrest and execution of thousands of Czechs, both Jews and non Jews alike. It’s at this time that Herbert Levin, his parents, his wife and child were all placed into a railroad box car and shipped off to the Auschwitz-Birkenau Concentration Camp in Poland. For four days they made the trip in the sealed up railroad car with countless other Jews. Like sardines in a can, with no food or water they traveled unsure of their destination. At Auschwitz-Birkenau the families were broken up. They also received tattooed numbers on their arms. Levin would be stamped with number A1676. The Jews were crammed into barracks and had to share beds with others. Levin’s bunk-mate was a young 16 year old Jewish boy named Werner Reich. His number was A1828 and he arrived via the same train ride as Levin from the Theresienstadt Concentration Camp. The two never knew each others names, but referred to one another by their numbers. Levin introduced Werner Reich to magic. Word got out again that Levin was NIVELLI the Magician and once again the Nazis demanded he perform for them. This is likely the only thing that saved his life. Auschwitz-Birkenau was one of the death camps where the gas chambers were located. Though Nivielli’s magic saved his own life, the Nazis were not so kind to his family. All the members of his family that had traveled with him were gassed and killed at Auschwitz. His bunk-mate, Werner Reich was one of 5,000 boys who fell under the supervision of Doctor Josef Mengele. Dr. Mengele would earn the title Angel of Death because of the horrific experiments he carried out on the Jewish prisoners. Werner was one of only 96 of the original 5000 who were spared the torturous experiments. All the others died. Louis Lam was born in 1903 in Amsterdam Holland. Like Werner Reich and Herbert Levin, he too was Jewish and interested in magic. In fact he was a partner of Dutch magician Henk Vermeyden. 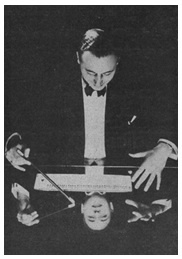 Henk was a magician, dealer and teacher who worked with among others, Fred Kaps, Peter Pit and Richard Ross. In 1943, Louis Lam was arrested and sent off to Westerbork Camp. This was a ‘transit camp’ that was used to house Jewish refugees from Germany. The camp had a school, a restaurant and other amenities to give it an upstanding appearance. Little did the Jewish prisoners know they would be shipped off to either Auschwitz or Sobibor in Poland. In September of 1944 the camp was liberated by the Allied Soldiers. Herbert Levin returned to Berlin and within six months had regained his health and was back to performing. Friends in the magic field supplied NIVELLI with hand made wooden props. Once again he was performing on the stages of Germany just as he had prior to the war. In 1947, NIVELLI appeared at the Schiffbauerdamm Theater in Berlin. 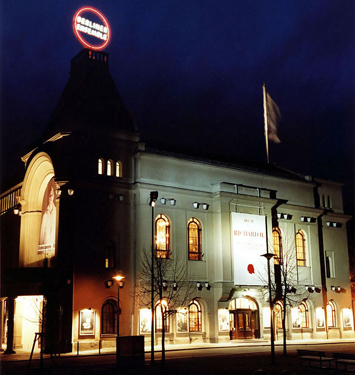 The Shifferbauderdamm opened in 1892 as the Neues Theatre. 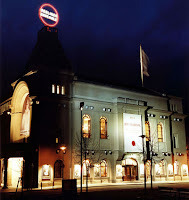 The theatre changed it’s name in 1931 and was closed in 1944. However, once the war was over, it reopened and is still open to this day. It’s considered one of the glamourous theatres in all of Germany. The show NIVELLI presented was called “Laughter and Crying”. He wore a colorful bright Harlequin sequined costume and presented an act that was described as a fairy tale. Following his performance Herbert Nivelli took advantage of the Displaced Person’s Act of 1948, which authorized for a limited period of time the admission into the United States of certain European displaced persons for permanent residence. He came to America and moved in with his sister Hettie in New York City. In 1948, he married a women named Lottie who was also from Germany. Together they would successfully perform across the United States as The NIVELLIS. The final performance of The NIVELLIS was on May 1st 1977 before 1,500 people in Lancaster Pennsylvania. Herbert Levin passed away two days later. In 1947 before leaving for America, a German Newspaper described Levin this way, “one who has laughter in his heart because fate has been good to him, while also in his heart and mind he cries, because of all the memories imprisoned in his mind from behind the electric wire barricades." Werner Reich the man who shared a bunk with Levin at Auschwitz, also survived the concentration camps. He came to America and raised a family. He also became a speaker and a magician. He never knew Nivelli’s name until he came across it while reading an article about the magician. When he read that Herbert Levin’s number was A1676, he knew instantly that this was the man who introduced him to magic. Louis Lam, the Jewish magician who was partners with Henk Vermeyden, was transferred in 1943 from the Westerbork Camp in Holland to the Sobibor Concentration Camp in Poland. He was never heard from again. The Nazis only controlled Westerbork Camp from 1942-1944 before it was liberated. But in that time 103,000 Jews were sent to their deaths. The events of the Holocaust took place 70 years ago. 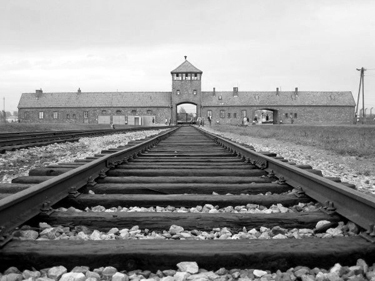 There are still survivors of the Nazi Concentration Camps who are alive today. It boggles the mind to think that such wickedness could have taken place so recently in our history. It’s equally amazing that something as simple as magic tricks helped to keep one man alive and inspire another man’s life and yet was not enough to help a third man. Herbert Levin, NIVELLI, lives on today mainly because of the articles by magic historian William Rauscher. He actually saw NIVELLI perform and met and corresponded with him. He has written a manuscript about him and articles that have appeared in magic magazines. 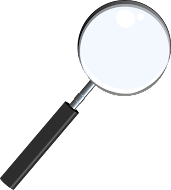 It was because of William Rauscher's articles that Werner Reich discovered the name of his friend that he only knew as #A1676. Werner Reich's life was covered in a short film by Sandi Bachom and Mikal Reich. The movie is called "Telling Jokes inAuschwitz". In addition, they filmed Werner Reich talking about NIVELLI. You can enjoy that video below. 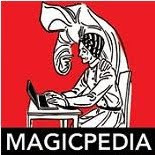 I'd like to thank Joe Pecore, Magicpedia.com, AskAlexander.com and The Conjuring Arts Research Library for their help in the research for this article. If anyone has the NIVELLI Manuscript that William Rauscher wrote and would be willing to sell it please contact me at carnegiemagic@me.com Also if you have information about other jewish magicians during the Holocaust, or have more information on Nivelli or Louis Lam, please contact me. By the way, I just discovered in a recent article in MAGIC Magazine, a paragraph on NIVELLI. Apparently, his story is part of the Jewish Magicians of the Golden Age exhibit at the Skirball Center in Los Angeles. This was really good Dean although very sad. And how like the Nazis to pick people out to use for their own purposes. Whenever I read or watch something about the holocaust, I always find myself wondering what would have been worse - to have survived that experience and have to live with the memories of it or to be disposed of early on. The instinct is always survival though I suppose and nobody knows how they would feel in those situations unless they lived through them. It is fortunate some did make it out to be able to tell what happened to them and also to live full lives. I have to say, it was very hard writing this. The story of Nivelli and Reich is inspiring, but then I found out about Louis Lam and it's heart breaking. But the worst part was all the research on the Holocaust that I did just so I could understand what took place when. Those who survived are a testament to the human spirit. I found this article after read the NYT's review of a play Nivelli’s War. this article is extremely well written filled with facts about Jewish contribution to Magic.